Once the world's bastion of liberal, democratic values, Europe is now having to confront demons it thought it had laid to rest. The old pathologies of anti-Semitism, populist nationalism, and territorial aggression are threatening to tear the European postwar consensus apart. 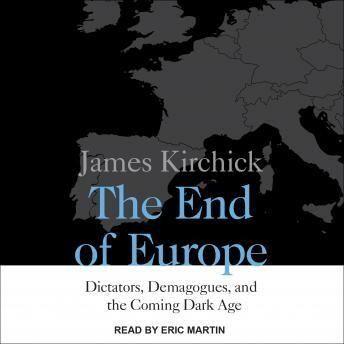 In riveting dispatches from this unfolding tragedy, James Kirchick shows us the shallow disingenuousness of the leaders who pushed for "Brexit;" examines how a vast migrant wave is exacerbating tensions between Europeans and their Muslim minorities; explores the rising anti-Semitism that causes Jewish schools and synagogues in France and Germany to resemble armed bunkers; and describes how Russian imperial ambitions are destabilizing nations from Estonia to Ukraine. With President Trump now threatening to abandon America's traditional role as upholder of the liberal world order and guarantor of the contient's security, Europe may be alone in dealing with these unprecedented challenges.